Great neighborhood!! Awesome for short or long stays! Come and visit our quaint and cozy vacation home built in the 1920's. It's close to all amenities, 5 minute walk to beach, 10 minute walk to casino and near great downtown restaurants. There is lots of golfing nearby, one hour drive to New Orleans and Mobile, and about 20 minutes to the Biloxi casinos and Keesler AFB. One block walk to community center and park featuring free gym and yoga and a splash pad for children in the park. No pets. This is our vacation home and is kept clean and comfortable for all our guests, and is in a safe and friendly neighborhood . We have a washer and dryer, beach chairs, cooler, and grill also for your use. There are also plenty of kitchen appliances like coffee maker, hand mixer, and plenty of pots and pans so you can cook at home if you choose. There is also a new 49 inch smart TV, with Sling TV in the living room, a TV in the guest room with antenna , and a TV in the rear bonus room with antenna. we also offer fast AC internet. Come and experience all that the Mississippi gulf coast has to offer. I am a fellow traveler who is offering this property for either short or long term rentals on the beautiful Gulf coast. I hope you will try my little beach house, and grow to love it and the Gulf coast as much as we do. I purchased this property due to the proximity of the water, I also love the history of the area, and I enjoy the old world charm of this house being built in the 1920's. This is not your typical vacation rental, this is our personal vacation home that we rent so that we can experience a true Gulfport Experience in a historic home in a historic neighborhood. Wireless AC Internet. 50 down and 11 up consistently. Community gym is 1 block away in the community center. 49 inch smart TV in living room with Sling Blue package, 2 more 42 inch tvs in bedroom and back room with antennas. Sling Blue package on main TV, antennas for local TV on other two sets. 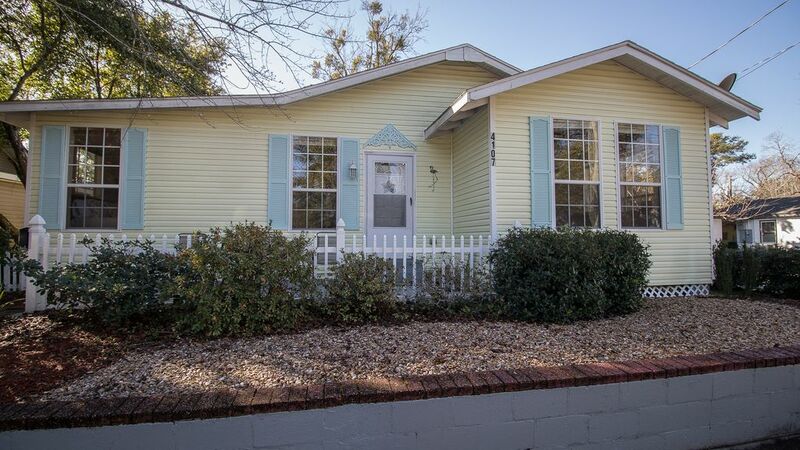 Cute and safe neighborhood, close to amenities that would be suited for a short or long term stay on the Mississippi Gulf.